The cake mentioned in the title has nothing to do with the inevitable part of every decent birthday party. It is about the nickname for ACI marina Pula, given because the round building in its center looks like of a cake. ACI Pula is located in the very center of the largest Istrian town. 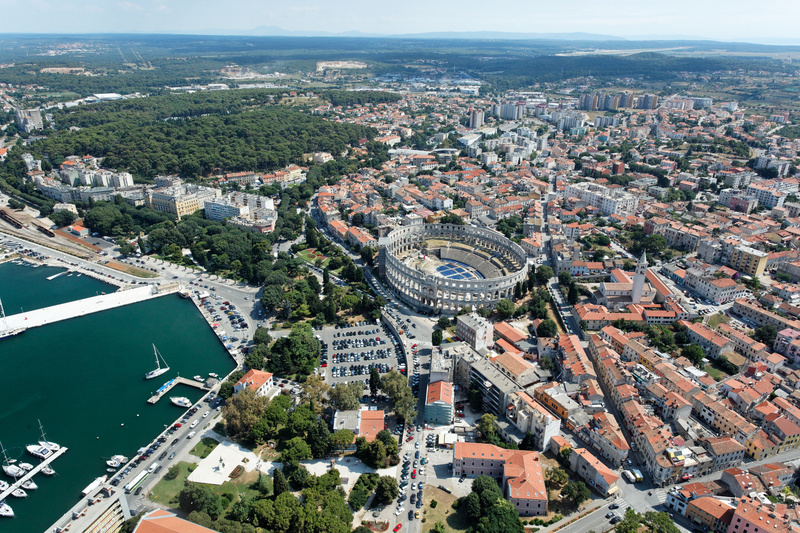 The vicinity of Pula Arena reminds visitors of Pula’s old tradition as an important port and trading routes’ crossroads since the ancient Roman times. The importance of Pula as a nautical and navy center has risen during the rule of Austro-Hungarian Empire, when numerous fortifications as well as navy shipyards and facilities were built. Afterwards, Pula was recognized as a shipbuilding center since three shipyards were situated there. Shipbuilding and naval importance of Pula decreased recently, but the importance of Pula as a tourist destination has increased. ACI marina Pula is equipped with 192 mooring berths and is open all year round. 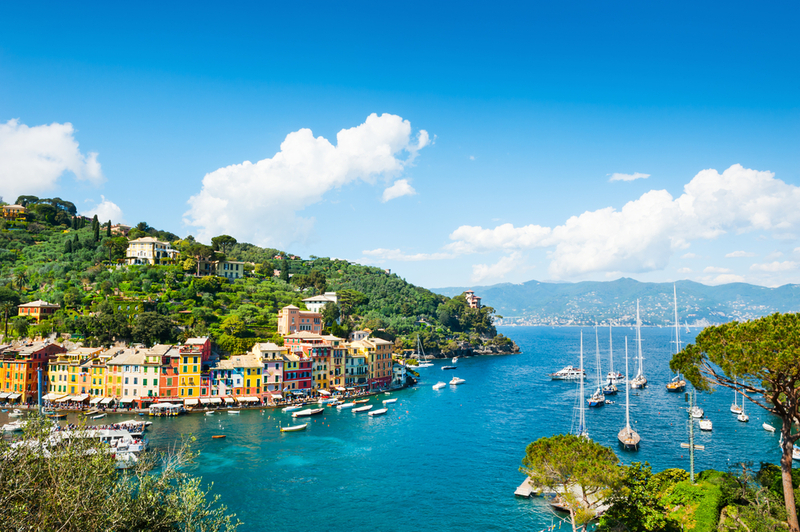 Along with all standard marina services ACI Pula can accommodate up to 40 m long yachts, offering three-phase electric current connections of 125 A. Petrol station is located on a small pier nearby the marina, within the city port. 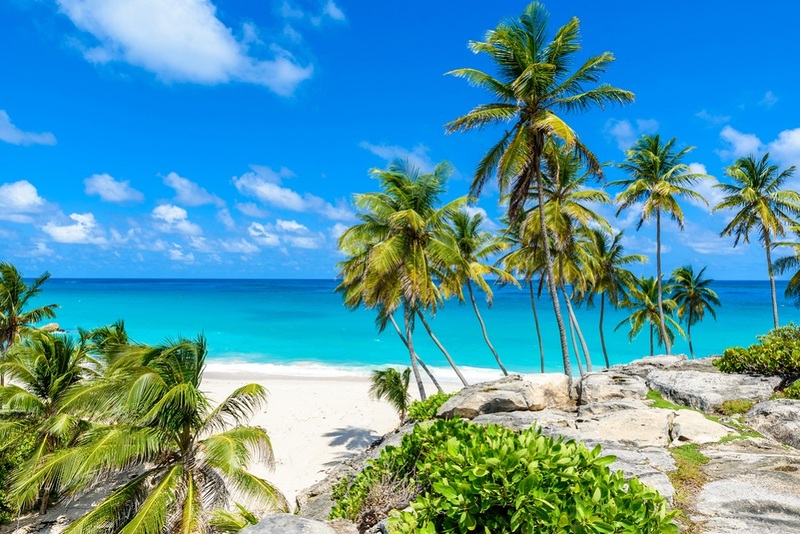 The famous cake-shaped building at the center of marina is where the reception desk is located along with toilet/shower facilities, laundry and charter agency. The renewed bistro bar is also located within the cake and offers a beautiful view to the bay of Pula from its terrace. 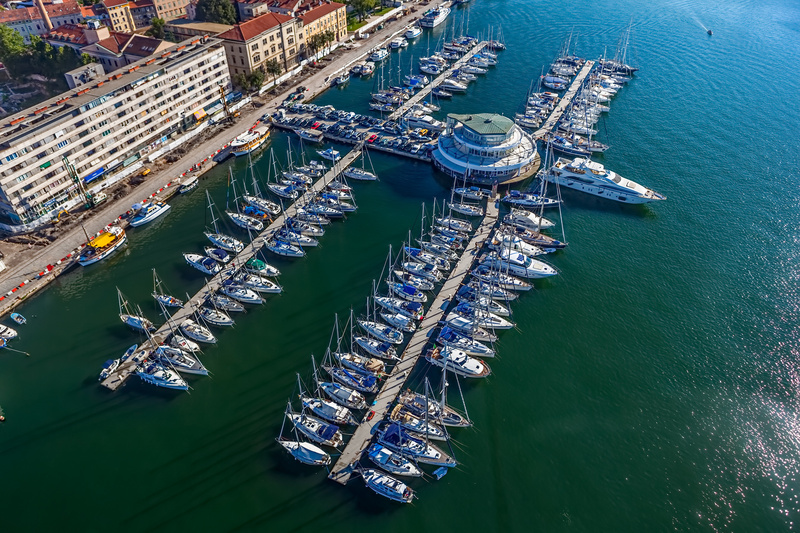 Specialized nautical equipment stores and the Harbor Master’s office are located in ACI Pula’s vicinity as well as the stores for all other supplies for sailing. Choosing Pula as a starting point for a sailing trip, one could explore the west Istrian coast, dramatic waters and bays of Premantura and Istria’s south and eastern coast as well as the islands of Kvarner. ACI Pula is one of the popular marinas in the area especially for weekend sailing because the city has good traffic connections with main European highways. In addition, the international airport is located some 5 km away from the city center. 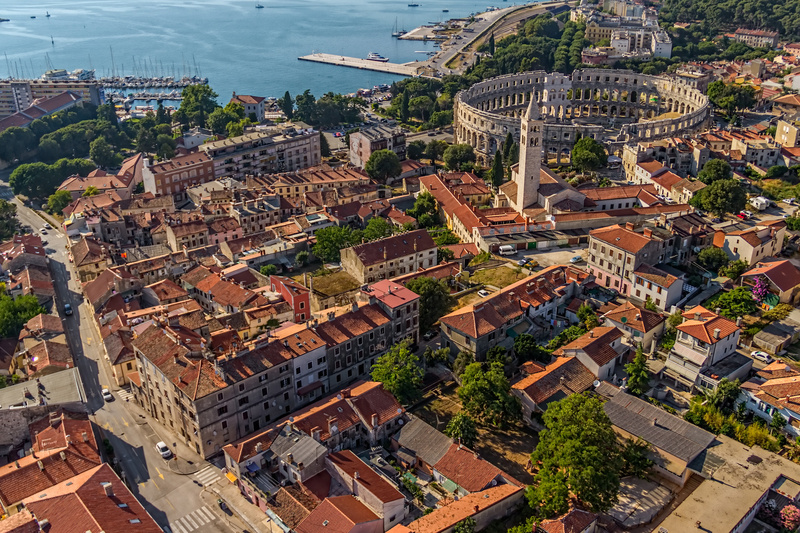 Still, if the weather is too bad for taking off, Pula town offers so much to see and experience so no time would be lost.